Foreign Ministers of the Association of Southeast Asian Nations meet with US Secretary of State Rex W. Tillerson in Washington D.C.
WASHINGTON, D.C. – The Foreign Ministers of the Association of Southeast Asian Nations (ASEAN) met with US Secretary of State Rex Q. Tillerson recently where they reaffirmed the strategic partnership between both sides. 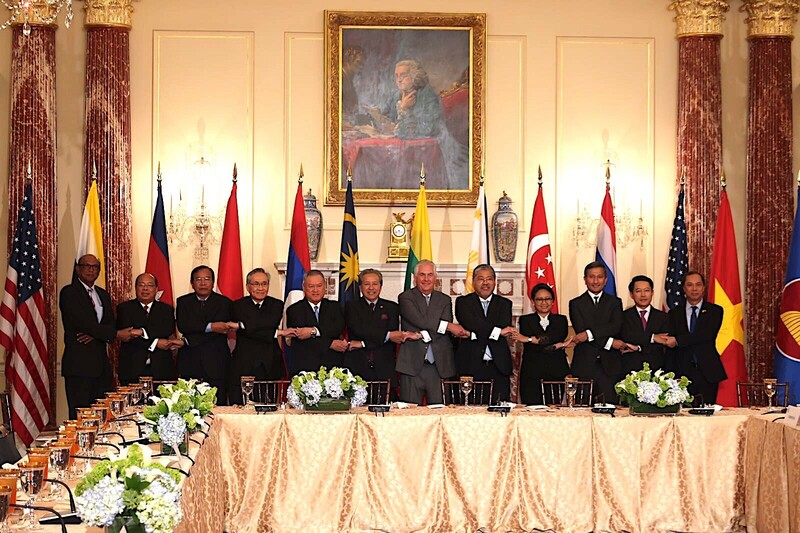 The Special ASEAN-US Foreign Ministers Meeting was held against the backdrop of the 40th Anniversary of ASEAN-US dialogue relations. “The Philippines reaffirms the importance of the ASEAN-US partnership especially to our community building. There is a high degree of convergence of interest between ASEAN and the US in maritime security, nuclear non-proliferation, cyber security, and combatting transnational crime, including terrorism and violent extremism, and trafficking in persons,” DFA Secretary Enrique A. Manalo told Secretary Tillerson during the meeting. In particular, Secretary Manalo said the Philippines looks forward to deeper cooperation between ASEAN and the US following the entry into force of the ASEAN Convention on Trafficking in Persons, Especially Women and Children in March this year.The Philippines serves as Chairman of ASEAN for 2017, which coincides with the 50th Anniversary of the group’s establishment. 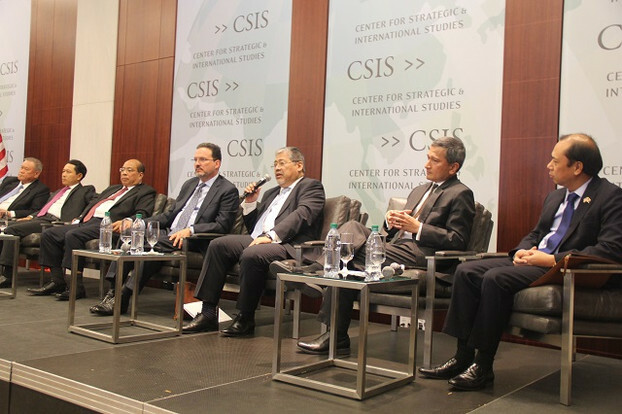 ASEAN Foreign Ministers attended a High-Level Roundtable Forum hosted by the Center of Strategic and International Studies (CSIS) where they answered questions on the future of ASEAN-US relations. “The Philippines looks forward to the US’ renewed commitment to ASEAN-US strategic partnership at the upcoming ASEAN Post-Ministerial Conferences (PMC) + 1 in August and the 5th ASEAN-US Summit in November,” he added. Secretary Tillerson and President Donald J. Trump already confirmed their attendance to the two meetings in Manila, respectively. The two sides also exchanged views on the situation in the Korean Peninsula and agreed on the need for the full implementation of all relevant UN Security Council Resolutions on the Democratic People’s Republic of Korea (DPRK). They also reaffirmed the importance of adhering to a rules-based order in the South China Sea. Secretary Manalo underscored the Philippines’ commitment to the peaceful resolution of disputes to achieve peace and stability in the region. He expressed hope for an early agreement on a framework for the Code of Conduct (CoC) in the SCS and the expeditious conclusion of the CoC itself. ASEAN and the US also discussed their economic relations and welcomed further expansion of trade and investment ties.